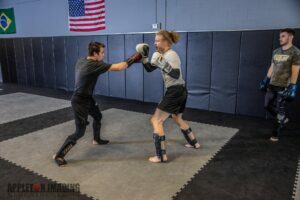 We offer a variety of different types of martial arts and combat classes. Check out what we offer and see if there is one that's right for you! If you see several that you are interested in, drop us a line and let us know if you're interested in the free trial. Don't forget to check out our schedule while you're here. 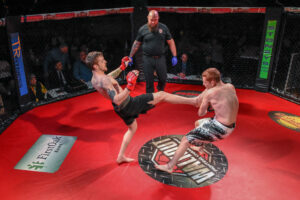 A combat sport of fighting using only the fists, mainly with padded gloves in a roped square ring according to predetermined rules. Founded on the concept that a smaller, weaker person can successfully defend themselves against a bigger, stronger, heavier opponent. A sport in which two people try to throw, force, or pin each other to the ground. There are multiple styles of wrestling such as Freestyle, Folk and Greco to name a few. 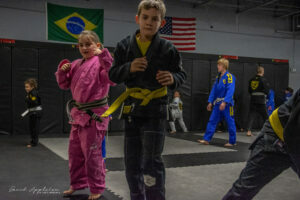 We offer classes designed just for kids. No better time to learn than when you're young! Evolve Fitness is a place to come and experience a wellness program based on strength training, sweat equity and finding a purpose. 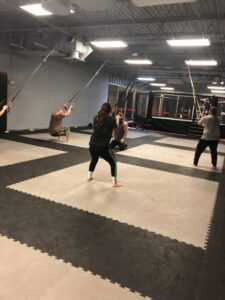 We crush workouts in a friendly, high intensity and fun atmosphere.